Y’all remember this little one? That I posted about here? Her file was sent back to China and she has now become available on the shared listing. 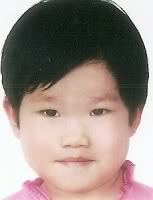 In fact, WACAP is now offering a $2000 grant towards her adoption. We used WACAP to bring Vivienne home and can highly recommend them as an agency. This little girl has been described as outgoing, clever, well liked and energetic. 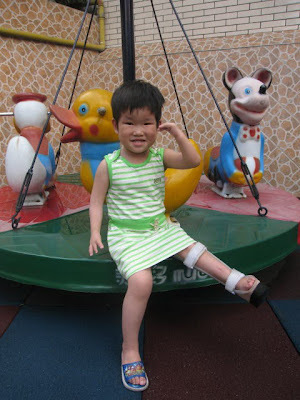 She has several limb differences and wears a brace on her left leg to help her walk. For the most part, she can take care of her own needs and her social development is excellent. Call WACAP for more information: 206-575-4550. Please help spread the word about this sweet little girl… she is so precious, I can’t believe she is still waiting. Might she be waiting for you? I had someone ask me about her about a month ago. I forwarded the info and so hope she is their ONE! If I had a RHW I would love to add her to our family. I LOVE this girl!!!! I wish I could bring her home!! !Please keep advocating for her!! !just maybe a miracle will come my way!! Thank you so much for posting about this sweet child again, Stefanie. Our family prays for her every day. I wish she were our daughter but my husband says she is not so I continue to advocate for her too. I have read her file and she is an extraordinary little girl. A mother of another child from her orphanage emailed and told me that her daughter knows her and "she is loved by everyone and everyone thinks of her as a friend." Come on, family! We know you are out there just waiting to bring her home!